For our next trick, a magic catalog. 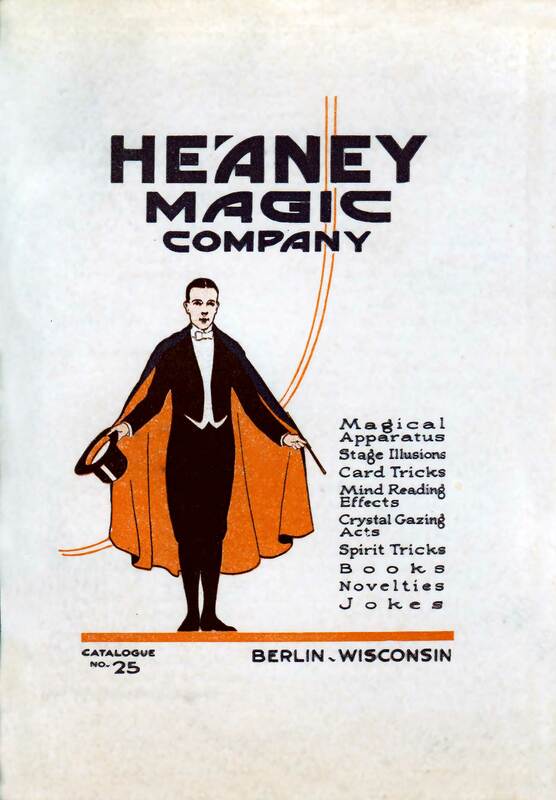 Have no illusions – even Magicians consulted catalogs in the 20th century. Magic was a popular and profitable form of live entertainment in the first decades of the 20th century, what with vaudeville still going strong. The big names – Houdini, Blackstone and their ilk – could command top billing at large city theatres to present mysteries of their own devising. Lesser performers could turn to firms like the Heaney Magic Company for inspiration, buying plans for tricks, or completely furnished illusions. 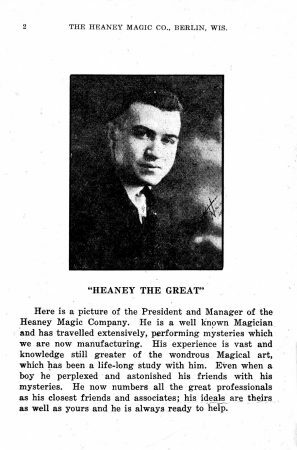 Gerald Heaney — “Heaney The Great” — would ship out your tricks the same day your order was received (take THAT, Amazon!) Judging from the illustration and description (which, come to think of it, was all an illusionist could judge from), the “Card Sword” sounds like a corker of an effect. 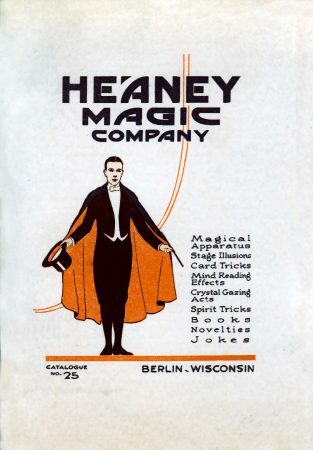 But if not, adjacent magic tricks also included the “Handkerchief on Sword Tip”, the “Enchanted Ribbon”, and the “New Improved Penetrating Thimble.” Wonder how the magic was done? 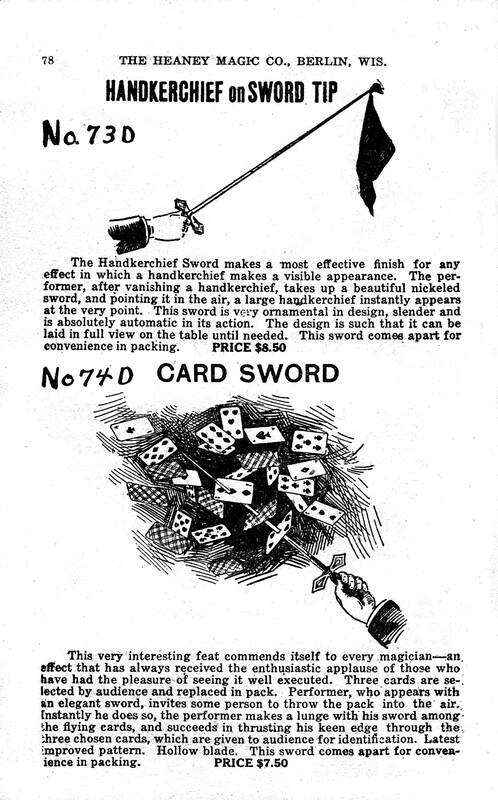 In the case of the Card Sword you’d have to shell out $7.50 to find out. Some secrets were too precious to be shared in print.